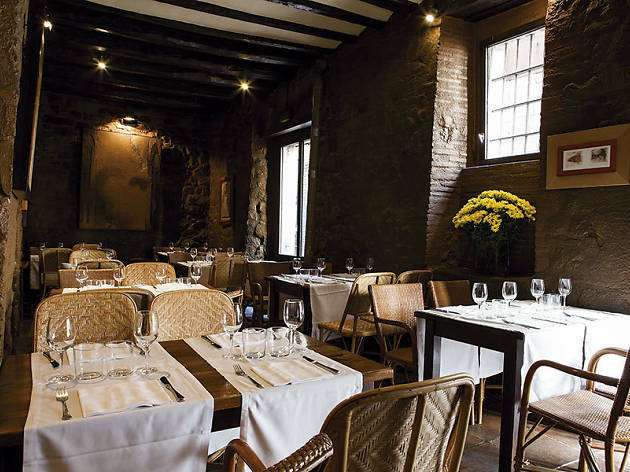 An assured approach to the classics of Catalan cui- sine, combined with sunny tables on the pretty Plaça Sant Just, make this one of the best-value restaurants around. The brick-walled dining room gets full and the tables are close together, so it doesn’t really work for a date, but it’s an animated spot for a power lunch among the suits from nearby City Hall. 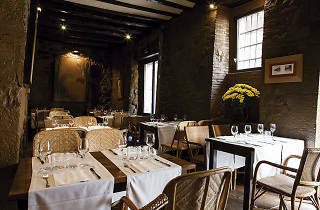 Eat à la carte for the likes of quail stuffed with duck’s liver and 'botifarra' with wild mushroom sauce. Mon-Fri 1.30pm-4pm; 8.30pm-11.30pm. Closed 3 wks Aug.